Great opportunity for an Investor, Developer or Owner Occupant. 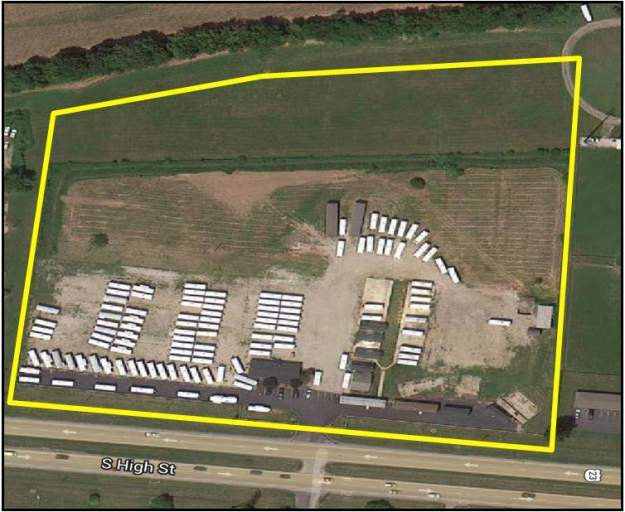 Offering includes: 12.254 Acres of Commercial Retail Land with approximately 6 acres currently leased to two tenants. The remaining acreage is available for an owner user or developer. All utilities on site, including Public Water & Sewer. The property currently has two tenants (Auto Sales & Barn Sales). The current gross monthly income from the tenants is $4,500 per month: ($54,000 per year). Eldorado Scioto Downs Casino, Horse Race Track & Concert Venue is just 0.5 miles away. Rickenbacker International Airport, Intermodel Railroad Park & Global Logistics Park is 3 miles. Zoned (CS) "Community Service District" which can accommodate many retail sales uses including Automotive Sales & Service and Hotel & Motel; 31,000+ AADT (2010) Traffic Count.